The background has been simplified and the hermit has been removed, which is a shame really as he was the character whose story I wanted to tell when I began writing the novel. 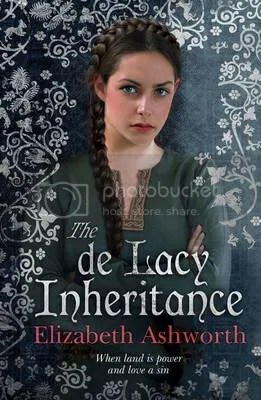 A pretty face on a cover is appealing and I hope that it helps to sell copies of the book, but I also hope that it won’t put off readers who may think that this is simply a romance. It’s more complex than that, is based in historical fact and an old legend. If you live in or know the Lancashire area you will recognise many of the places where the story is set, including Clitheroe Castle, Whalley and Pendle Hill. Next Are the remains of the de Lacys buried at Whalley Abbey?